The Winners. A familiar spot for Sergey Lebed. That's his sixth individual gold medal. 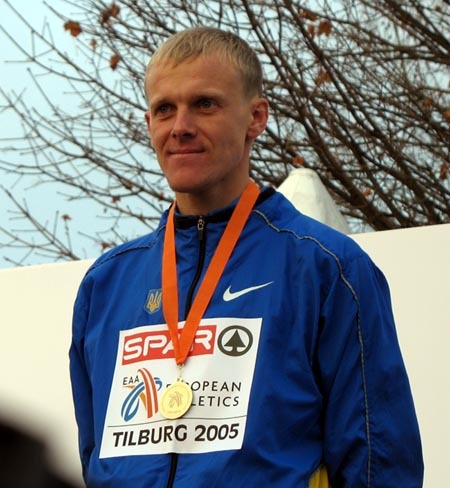 He also led Ukraine to the team bronze. 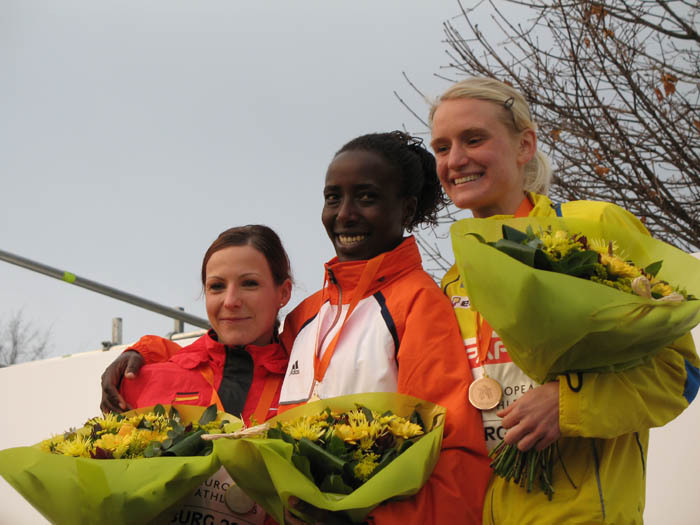 / Lornah Kiplagat took a commanding win, thrilling the local crowd. 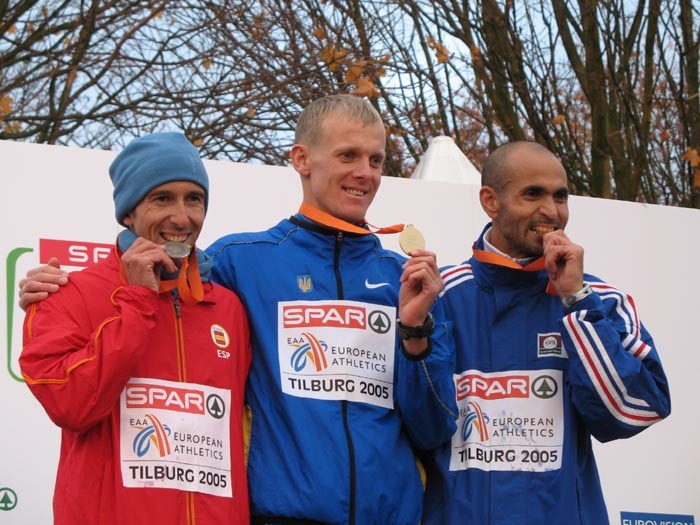 It was the first-ever Dutch win at the European Championships. 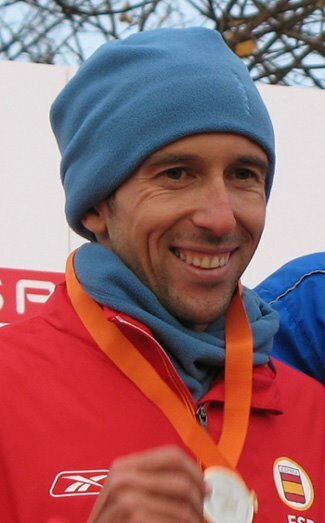 Spaniard Alberto Garcia, the reigning European 5000m champion, finished a strong runner-up. 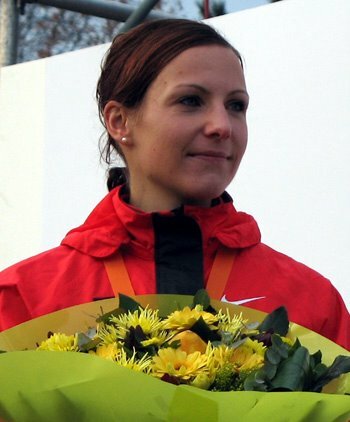 / German star Sabrina Mockenhaupt also finished second, claiming her first international medal. 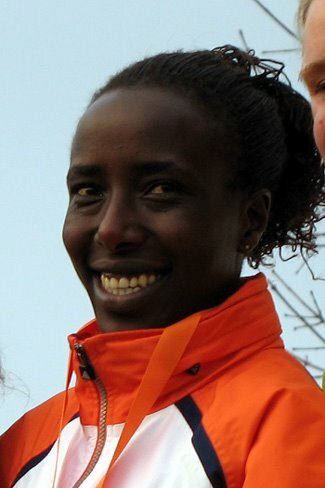 Remarkably, it was also the first-ever individual medal for a German woman in these championships. 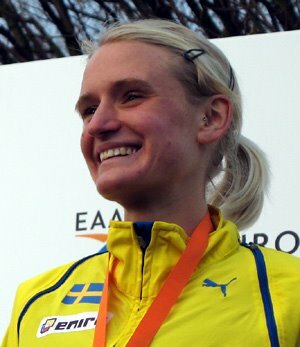 Swede Johanna Nilsson ran a strong second half to finish third, less than a month after winning the NCAA title for Northern Arizona. 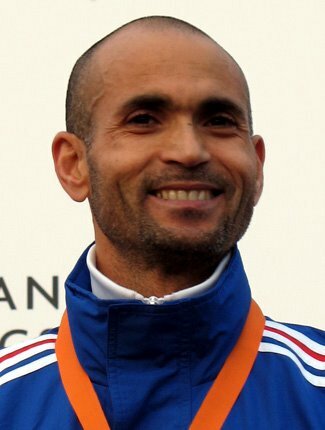 / For the second straight year, Frenchman Driss Maazouzi took the bronze. The women's podium trio... and the men's. Does anyone know where that medal-biting ritual comes from? At the pre-race press conference, Sergey Lebid was cool, calm, loose, relaxed. 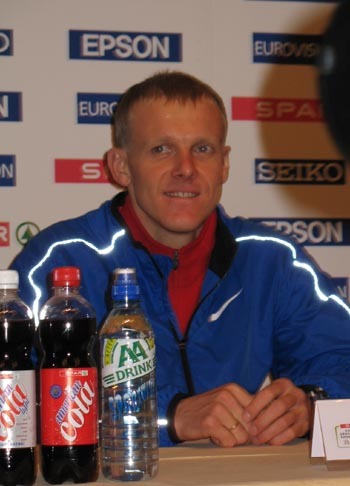 He revealed that he would not be contesting the World Cross Country Championships in April, choosing instead to better prepare for the outdoor track season. / Clearly wanting no pressure, women's defending champion Hayley Yelling said she had no expectations for tomorrow's race. It was recently announced that Yelling would lose her UK Lottery funding for next year, forcing the part-time teacher back into the full-time job market. 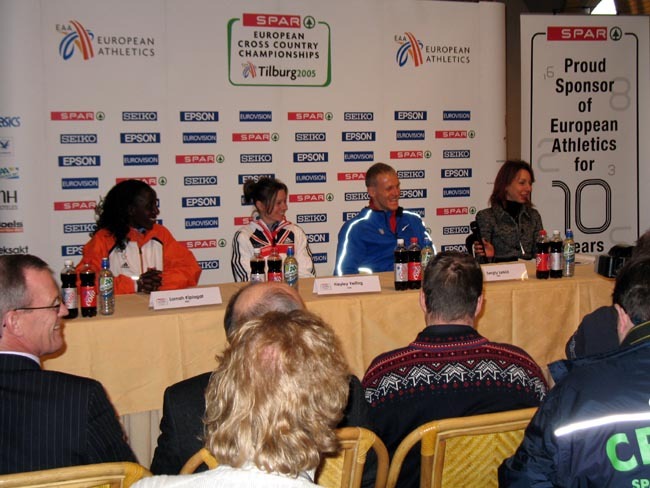 The press conference was well-attended; local interest of course was on Lornah Kiplagat's first appearance at the European Championships. She too said she had no expectations, but added, "Of course, I don't like to lose." 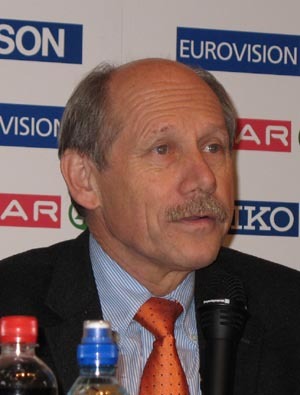 / EAA President Hans Jorg Wirz of Switzerland, also the meet director for Zurich's Golden League fixture, The Weltklasse. All images © Bob Ramsak and Track Profile. All rights reserved.